5. 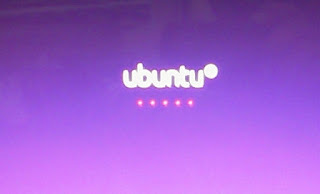 Click Install Ubuntu, if you want to install Ubuntu on a computer, or if you only want to try Ubuntu OS without installing it to a computer, please click Try Ubuntu, and don’t worry about the hard disk, data and operating system you have installed will not be disturbed. The above display is an example of a new hard drive, so you need Partition Table. Click on / dev / sda and click on New Partition Table. Then a confirmation will appear as above. Select Continue so that the display will appear as follows. Return to the beginning, continue by selecting the Root partition for the system place, then click Install Now. 11. Then the system installation process continues, wait a few moments. The system will re-boot / restart and Ubuntu will load, until here you have finished installing LINUX UBUNTU Version 10.10. Good luck, and good luck.